“Rohit has not spoken his first words until now. He cannot walk on his own as well – he needs to be carried around. His eyes are getting more yellow every day. The doctors have told us that he will not survive for long if he does not get a liver transplant soon. 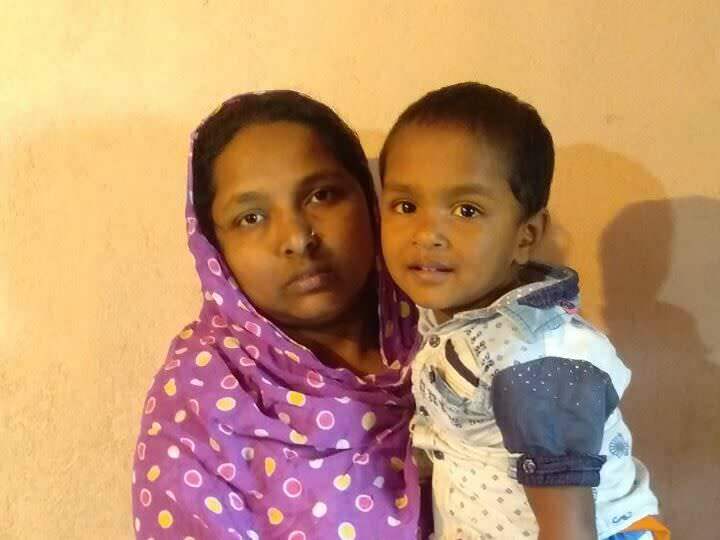 Our son does not have much time left but we are poor textile weavers who have no money to save him,” says Babon Mallick, 3-year-old Rohit’s father. Babon and his family live in a small village in Hoogly district, Karnataka, where every decision, even personal ones, are made only after consulting village elders. 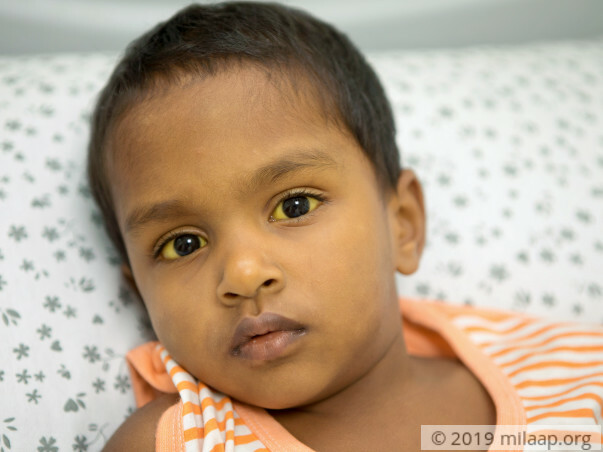 When Rohit was born in a local health centre in the village, his body was yellow all over. 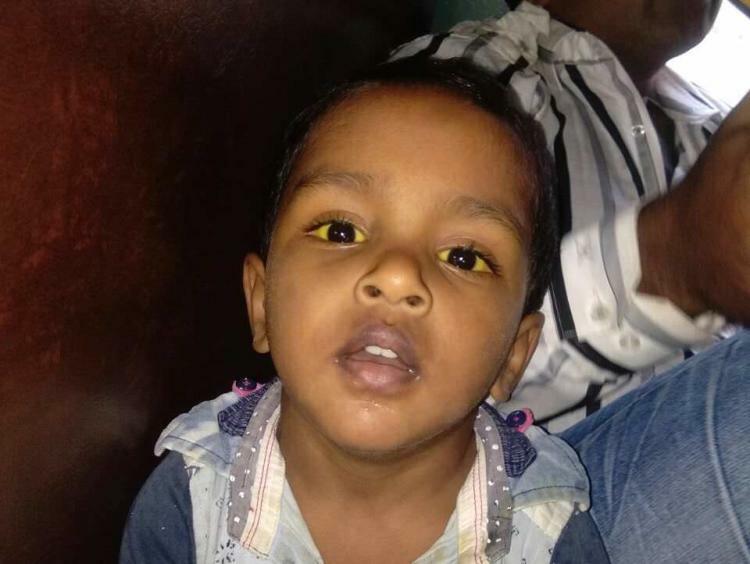 From day 1, doctors at the centre maintained that it was jaundice and prescribed medicines. The village elders also agreed. Over time, Rohit started becoming more inactive. He would just feed and sleep all day. His parents started getting concerned when, despite having turned two, he hadn’t spoken his first word. He was also not even crawling or creeping like children, let alone trying to stand up on his own. 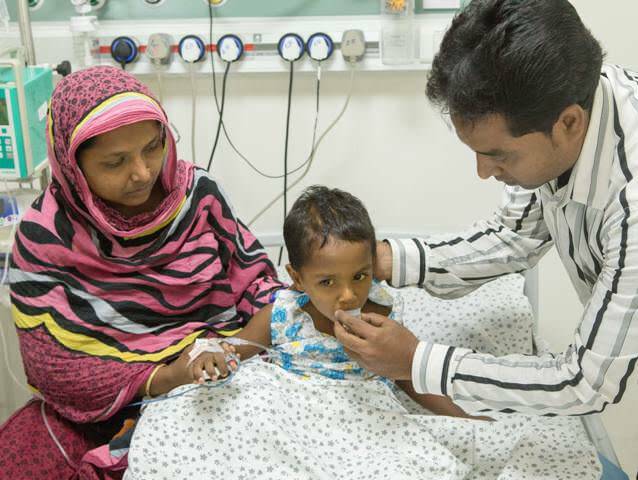 When Rohit’s parents realized that he was not growing and developing normally, they took him to a hospital in Kolkata. After a couple of tests were done, it was revealed that Rohit had a severe genetic liver disease that cannot be cured with medicines. He needed a liver transplant at the earliest or he would not survive. From then, Babon and Murshida have been running to different hospitals trying to beg doctors to save their child. Rohit’s condition has become so bad that he has stopped eating. His parents have to force-feed him because his health might suffer otherwise. His eyes are dark yellow and he is tired all day. Babon and Murshida used to earn a living doing embroidery work on textiles before they left their village to save Rohit. They used to earn around Rs 4,000 every month. They have no savings and have taken loans from relatives and people in their village to just take him to hospitals. Babon is ready to give his own liver to Rohit but the transplant surgery will cost Rs 12 lakhs, which they cannot arrange, given their poverty. Your kindness can save Rohit from a painful end and give him a chance to live a normal life. Thank you for the support you have shown towards him so far. Rohit is stable at the moment on medical management and the liver transplant is yet to be finalised. We will keep you posted on his condition further. Thank you so much for your tremendous love and support. Rohit is currently doing better. He is still feeling the same. There is not really any change in his health from the last time an the update was posted. He hasn't been eating properly and is having trouble walking on his own now. He's at home at present. He's being given photo-therapy treatment at home to help him with his condition. He needs to see the doctor in two months from now and the further course of action will be decided. We are all hopeful about his recovery and are praying for his well-being. Please keep praying for him. Thank you all once again. Thank you for your tremendous love and support. This definitely wouldn't have been possible without you. Rohit is currently doing okay. He's on medication and the doctors have told us he doesn't need a transplant immediately. So for now, they're treating him via medication. He is a slow weight gainer, hence that is causing a little problem in scheduling a transplant. 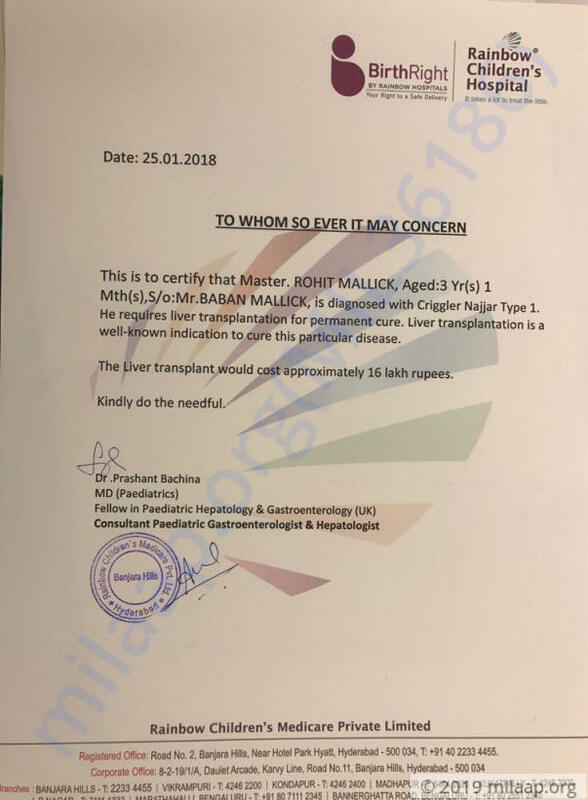 Hence, he is on nutrient rich food to help him gain weight and stay fit to continue the treatment since the medication is strong and whenever the transplant is scheduled (probably in 3-4 months), he will have to have gained enough weight to be able to endure the surgery. We hope to see him recover and get well soon. Please keep praying for him. We shall keep you posted.